Copper Chief is a central Texas band with deep roots and even deeper brotherhood consisting of three country artists – Mike Valliere, Rio Tripiano and Justin Lusk. Their passion for music runs deep, one of the members even gave up pursuing a law degree to pursue this dream. 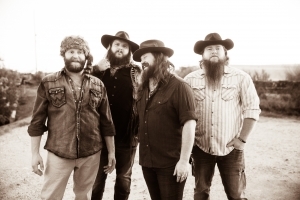 Since the release of their debut self-titled album – “Copper Chief” – the guys have been burning a path all across Texas and the surrounding states to steadily growing crowds.